Ryan Shazier has come a long way since the tackle against the Cincinnati Bengals that took away the feelings from his lower extremities and ended his season (and possibly his career). Since then, the Pittsburgh Steelers star has made incredible strides to make sure he would be able to walk again. 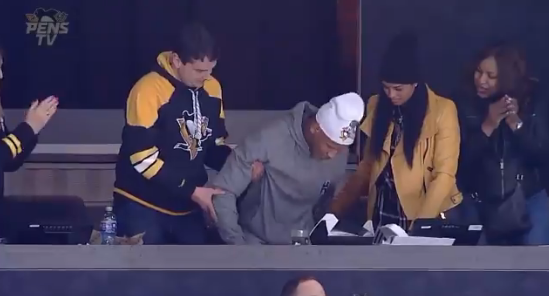 On Tuesday, the Shazier attended the Pittsburgh Penguins game and mustered up enough strength to stand and show the crowd some love as they gave him a standing ovation.